Hosanna Lutheran Church has extended a call to Pastor Anthony J. Chatman to lead Hosanna in its mission of “Serving God, Changing Lives.” He has been Pastor of St. Philip Lutheran Church in Columbus, Ohio since 2008. His ministry at Hosanna began on February1, 2018. He can be contacted through the church office at 281-440-6890. 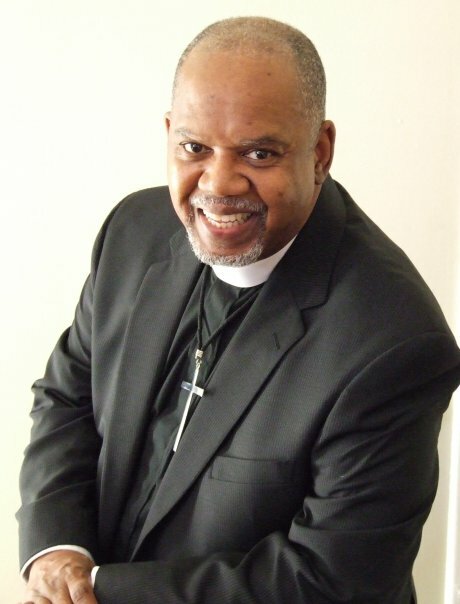 Pastor Chatman is the ninth of thirteen children who grew up in Detroit, Michigan. He has been married to his wife Kimberly for 36 years. They are the parents of three adult children. Pastor Chatman is a second career Pastor. He was employed by the National Football League when he obeyed the Holy Spirit's call to ministry in the Evangelical Lutheran Church in America. His pastoral experience has included evangelism, spiritual renewal, outreach, mission development, and ecumenical work. He is part of the planning team for the 2018 National Youth Gathering that will take place in Houston this summer. Anna Marie Flusche, O.P., is a member of the Dominican Sisters of Houston. She has been organist at Hosanna since 1989. Previously she served at St. Michael Catholic Church in Houston for 18 years. During her time at Hosanna she has also worked at St. Christopher Catholic Church, Houston and at St. Christopher Catholic School, where she was in charge of the liturgical music for the school. Sister Anna Marie received her Bachelor of Music degree from Dominican College in Houston, her Master of Music degree from the University of North Texas in Denton, and her Doctor of Musical Arts degree (the first!) from the Shepherd School of Music of Rice University in Houston. Sister Anna Marie is the author of the book The Life and Legend of Gerbert of Aurillac: The Organbuilder Who Became Pope Sylvester II (The Edwin Mellen Press). She is a member of the Houston chapter of the American Guild of Organists (AGO) and is on the steering committee which is preparing for the AGO national convention in Houston in 2016. Sarah Łysiak, director of choral activities at Hosanna Lutheran Church in Houston, Texas, is currently in her first season as a member of the Houston Grand Opera Chorus, and maintains an active teaching studio of over 25 students. Equally at home on stage, her recent engagements have included the roles of Mimí in La Bohème, Marianne in Der Rosenkavalier, Alice Ford in Falstaff, Matilde Neruda in Il Postino, First Lady in The Magic Flute, La Baronne in La Vie Parisienne, Lady Billows in Albert Herring, and Fiordiligi in Cosí fan tutte. 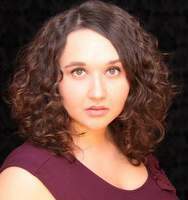 Ms. Łysiak is a graduate of the acclaimed opera program at the University of Houston’s Moores School of Music, and received her undergraduate training from the University of North Carolina School of the Arts. Ms. Łysiak currently resides in Houston and studies privately with Rice University professor, Barbara Paver. Pat Gibbons has been a member of this church community since 2010. Recent work experience was as a Benefits Manager for an Oil and Gas company in Houston. I moved here from Erie, PA in 2009. My past roles in this congregation: Council Vice President/Mission Focus Leader, Council President and Council Secretary. I continue to participate in Choir, Altar Guild, as a Counter, a Greeter and as an Assisting Minister. I am thankful to be a part of Hosanna and look forward to serving you in this capacity as well.